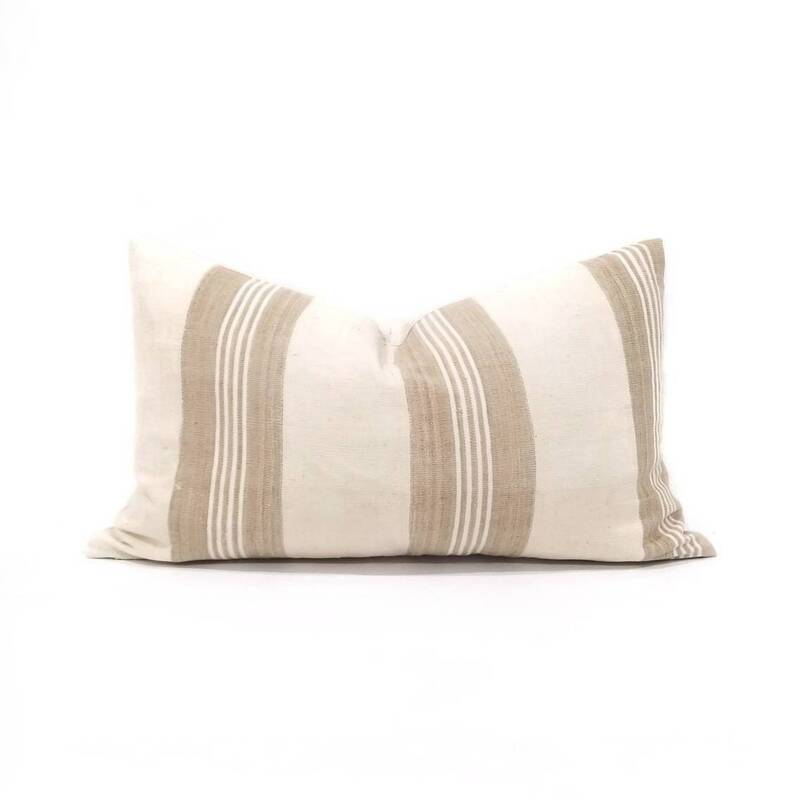 11"×20" Pillow cover made of khaki w/ white stripe aso oke African textile. Fitted with a 12"×21" insert. All front vintage texile has been washed prior to sewing.